Lady and the Blog → Deals and Steals → $10 Or Less → Get A Free Month Of Kiwi Crate – Details Here! Get A Free Month Of Kiwi Crate – Details Here! I love Kiwi Crate! I’ve written about this brand before and my kids absolutely FLIP OUT whenever we get a box in the mail. How exciting to see that they are offering a free trial right now. Yes a FREE BOX! You have to act fast because this offer isn’t going to last forever. The above image is a sample of what your free trial box will look like. 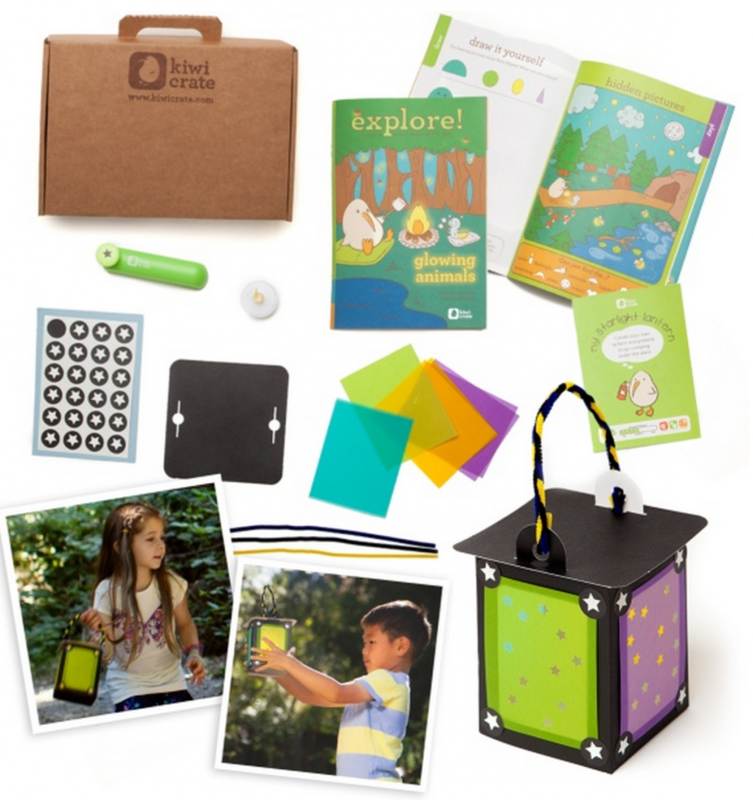 My Starlight Lantern is one of two projects from their popular Nature Explorer crate. So much fun! The last time we did a Kiwi Crate it was around Thanksgiving – the kids made place cards for our table. SO CUTE!! Click here to get started on your Kiwi Crate Free Trial and have a blast!